DeM Banter: Well I think that pretty much sums it all up…we don’t know, and there are a ton of issues… we are indeed living in interesting times and I can’t help but ponder the next 5 to 10 years. There’s been a lot of chatter recently about “Out of Sight, Out of Mind,” a new online infographic which shows a chilling visualization of all estimated deaths in Pakistan caused by U.S. drone strikes, including children and civilians, based on estimates from the Bureau of Investigative Journalism and New America Foundation. Whether you agree with the numbers, or the politics, behind this particular project (put together by the data visualization firm Pitch Interactive), at least it’s sparking debate. And that’s got to be a good thing — there’s still so much we don’t know about this highly controversial issue. 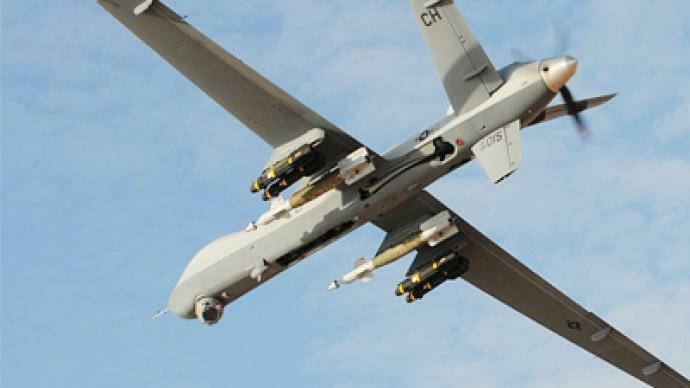 To say that the use of drone strikes is a polarizing topic would be a vast understatement. In U.S. policy circles, it’s projected as an effective counter-terrorism tactic, whereas globally, it is often seen as tacit abuse of state sovereignty. And that’s before you get to the debate over potential international law and human rights violations. Pakistan’s government (both military and civilian) was fully on board, except perhaps for the past year, which means the sovereignty issue was not relevant in many cases. Mainstream and moderate Pukhtuns in Pakistan were by and large okay with drone strikes because they did what they and Pakistani security forces couldn’t — however, this is seldom expressed in public. Some of these facts may sound contradictory, and that is because they are. The truth is we don’t know whether U.S. drone strikes have killed more terrorists or produced more terrorists. There were roughly 350 drone strikes in the tribal areas since 2004, at an exorbitant cost (even though drone strikes offer a cheaper option in comparison to “boots on ground”). But how many schools were opened in the region over the same period of time? The answer is distressing, as the number of schools has actually declined sharply . Please forgive typos as I thump this note on a tablet while riding the train. As always, these questions are more complicated than they appear on the surface. Just for grins, I will add some fuel to the fire. Two main thoughts come to my mind as I read this article. The first thought is that when using drones to target AQ, or anyone else for that matter, you should only pick really really good targets. I mention the following example to illustrate a time tested point, not to make this a religious discussion. That example is the Romans and their pursuit of the early Christian church. The Romans eventually realized that knocking off the occasional bishop did not really help since there always seemed to be 10-20 wannabes waiting in the wings to replace the one that just got sent to the pearly gates. That is part of what sustained the early church, and provided a rally point for the faithful. Using this tool too much invites the same type of result here. In a sense, the persecution of “the enemy” is what stimulated the growth of what you tried to extinguish in the first place. The other point on soft power and deradicalization is apropos, but that leads to another question that sorely needs public discourse. That point is to what end do we build a nation over there at the expense of a nation here. The article juxtaposes the cost of the drone ops and schools etc over there and then posits that the equation is out of balance. The equation is out of balance for what is needed to achieve a stable nation over there. That said, how much does it cost to spend a few generations worth of money to educate the masses, bring public works that bear fruit, and remove enough corruption from government over there? How much of that expense is in the national interest? (Ours). What is the US populous consensus on where that value lies compared with maintaining our own domestic tranquility? Should some of that money be spent here, somewhere else, or do we need to spend more there? Is it a black hole that we pour money into? And the last question, what is the metric of performance, return on investment, and decision point? Don’t get me wrong, we need some engagement to clean out the brush once in a while to prevent a raging forest fire. That said, you cannot have the basic policy points, the national objectives, etc being decided in secret while the work product remains immune from public scrutiny and oversight. There also needs to be a public discussion about what happens to thugs that hide in schools, churches etc, and when we as a nation decide to take care of business anyway. Curiously, it is only now, two Presidents later that Congress is trying too have that public debate. Let’s hope it is not too late. OK I’ll get off the soap box now…. Ben: Strong points and isn’t that the basis of much of the debate. We need a balance, we need public discussion…odd that it seems to be missing, we also need a strategy. The debate that is missing is something I find increasingly interesting. We seem to be very concerned over minutia. Why is that? Is it because we perceive these things are easier to solve? For or Against… are Gay Marriage and Gun Control the BIG issues we want our Federal Government worrying about? Or might those be better served at a lower level? Is there a reason we are focused there? Anyhow…yes public discourse it huge. But what about the bigger picture, the strategic? Where do we see ourselves as a nation in 10 to 20 years? I am not hearing any of those debates or discussion… we are very focused on the next week, month, maybe year. So in terms of international discourse… I’m not sure we are engaged. We are just hitting the 5 meter targets. See the post from this AM on Mars and Venus… interesting piece. My personal experience is that the need to develop a strategy evolves out of a discussion on some issue. Sometimes that strategy comes first, but that usually occurs if the need has been pre-identified. Otherwise an awareness of the requirement to develop a strategy needs to emerge. Discussion is usually what drives that. This is not top imply that tier is a lack of system to develop strategies when needed, but rather to say that no one takes those tools out of the box until they are ready to use them. The lack of discourse presently is cause for concern since it really gives pause to consider that other interests are served by a lack of strategy, or that the development of a “new” strategy may threaten the current control structure and any agendas / interests served by the current control structure. It is about absolute power absolutely corrupting. The best prevention of that is sunshine. Let us all hope that the beginnings of this discussion lead to something fruitful for the nation and the world as a whole. Yes we need a strategy, but until the People wake up and make their elected representatives believe that strategy is important to their continued service on the Hill, it won’t happen. Keep banging that gong!! Eventually it will get the attention it deserves.